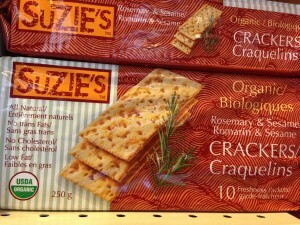 Brand Spankin’ New Products at the Co-op! Our Kendall McEuen has been busy stocking shelves with 14 brand new products at the Co-op. Kendall works with companies big and small to bring us specialty products you probably won’t find anywhere else in the area. In the photo, Kendall is on her break, enjoying a relaxing cup of Alvita Lemongrass Tea. 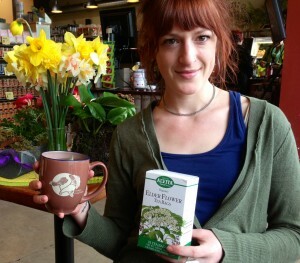 This line of medicinal teas is the new product she’s most excited about. Not only is it sourced from a relatively small company that’s longtime been in the tea business, but it’s organic and reasonably priced. 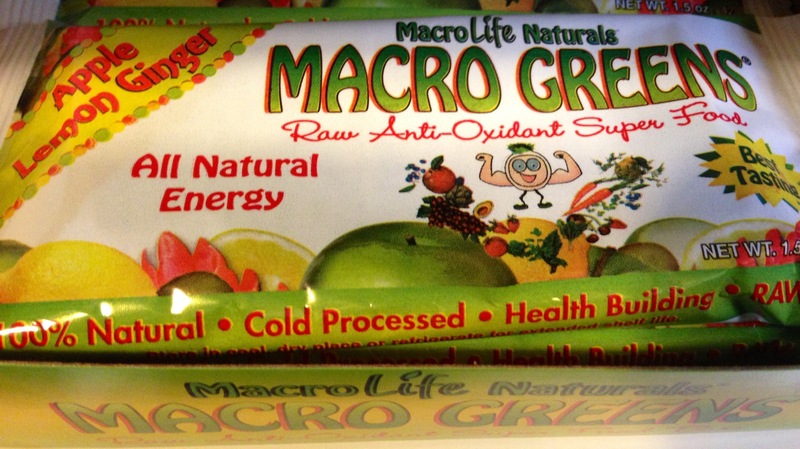 “I like that these are single element herb teas as opposed to blends,” Kendall said. In addition to Lemongrass, we also have Milk Thistle, used to alleviate stomach upset, Nettle, traditionally used to support joint comfort, Black Cohosh Root which the company says has been used for centuries to support women’ health, and finally Elder Flower, which is well-known to support respiratory health. Want to peek at some of our other new products? 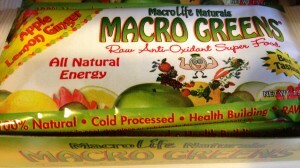 In the bar section, there’s the Macro Greens All Natural Energy Bar which is raw, vegan, and grain-free. 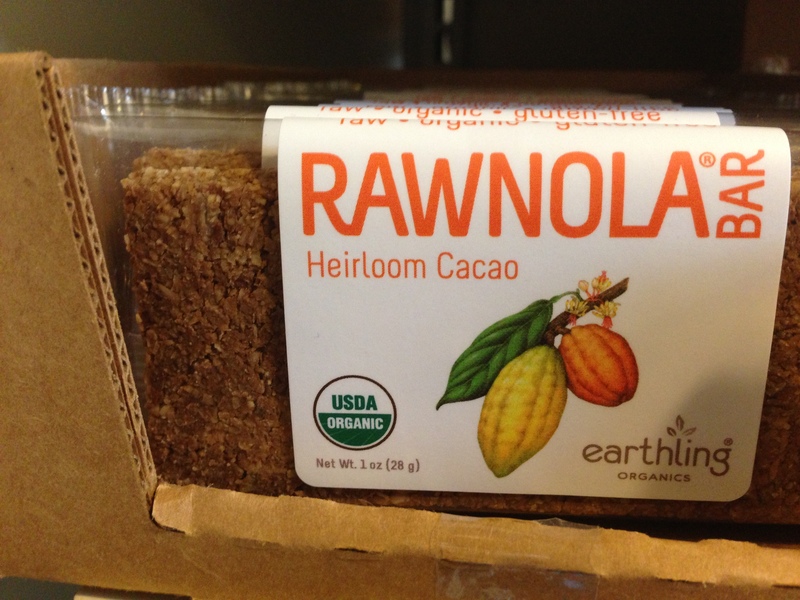 Due to the success of Rawnola Bars, we now have a new flavor, heirloom cacao, which Kendall says is, “absolutely delicious”. 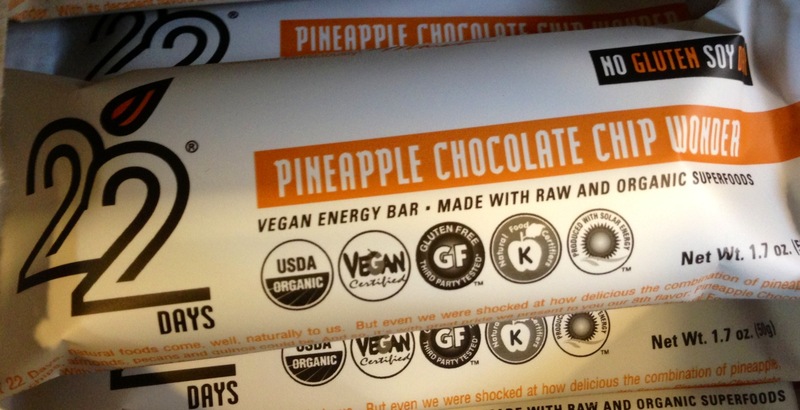 This new protein bar, Pineapple Chocolate Chip Wonder, Kendall can also testify to its delicious-ness. It’s a tough job to try all these new treats, but seriously someone has got to do it! 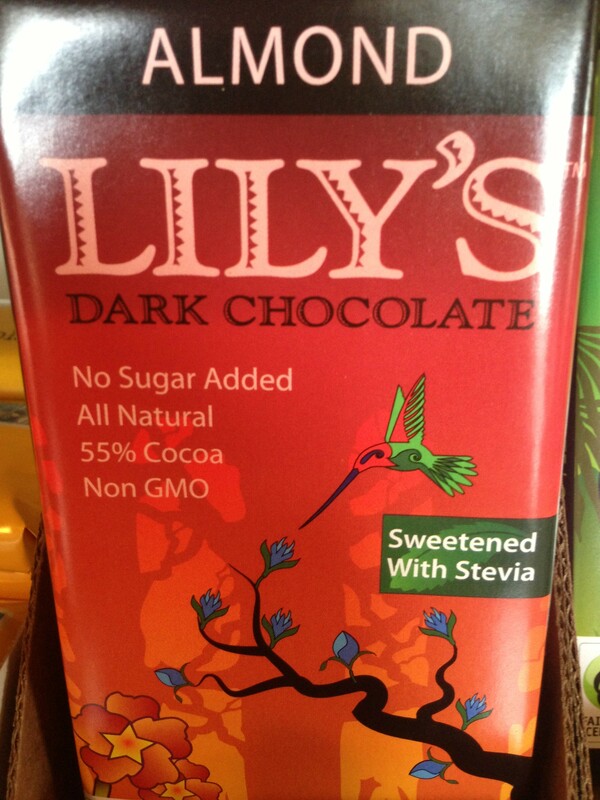 If we get one in that doesn’t taste good, we do not try to sell it to you! 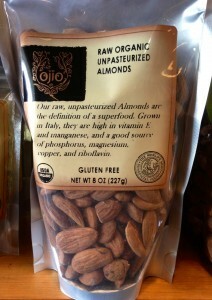 On the raw food shelf, we have a new brand of raw, organic unpasteurized almonds. Raw means the nuts retain all the beneficial enzymes that pasteurization eliminates. Another flavor of Gone Nuts, because these have been hot-sellers, now you can try the Mesquite Pod Maple Walnuts. 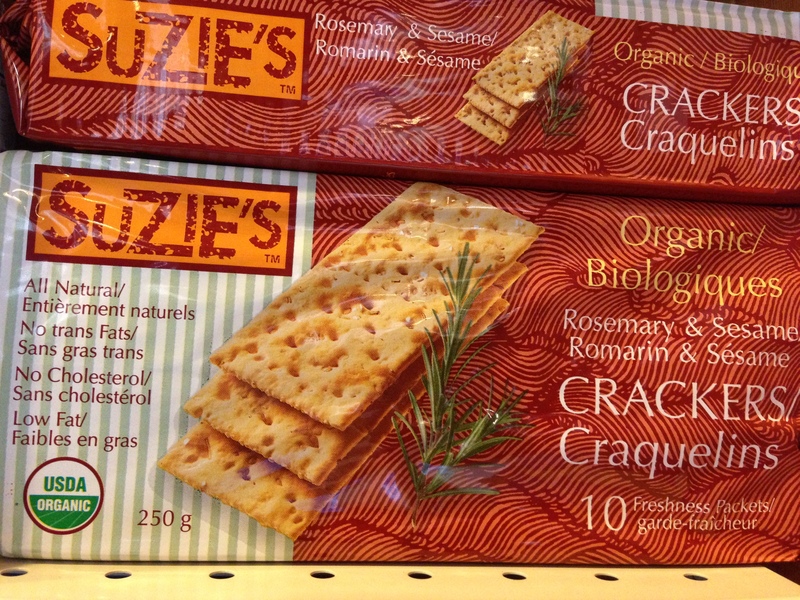 Over in the cracker department, new organic saltines are kind of special and cool because they contain rosemary and sesame plus they’re individually wrapped in increments of three so they’re good for-on the-go or school lunches. 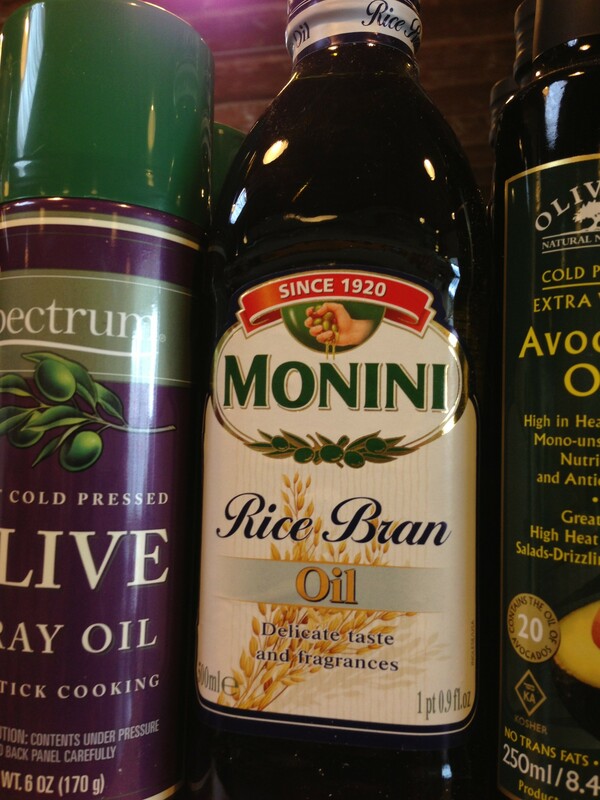 People have been asking for it and we now have Rice Bran Oil. 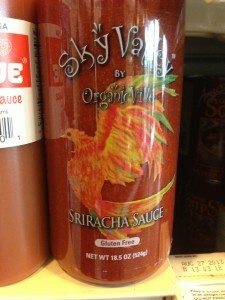 It’s for high heat cooking as well as salad dressings and Asian cooking. 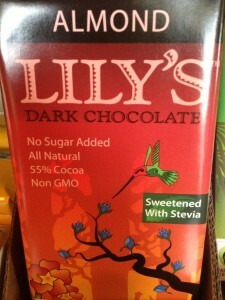 A new type of Lily’s Dark Chocolate, Almond, which is stevia-sweetened, and considerably less in calories. 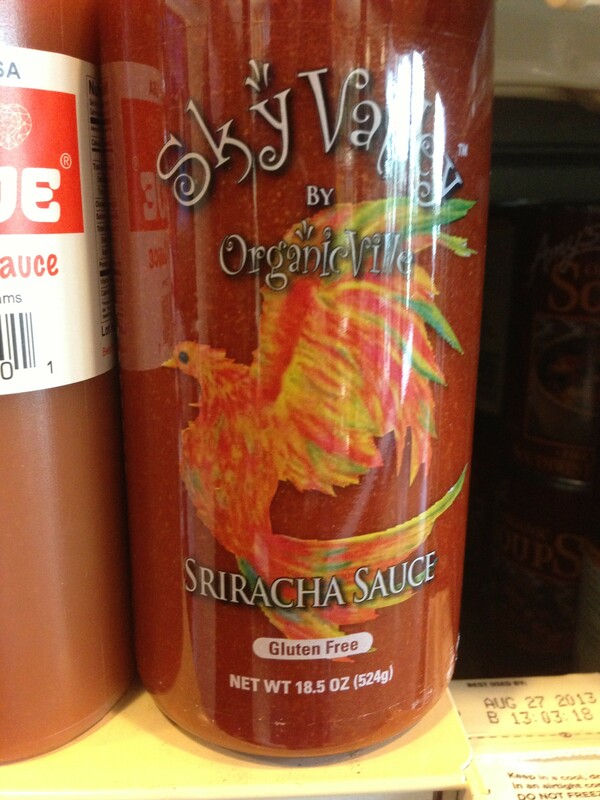 Finally Organic Sriracha Sauce, it’s gluten free, and a wonderful condiment and ingredient that adds a spicy kick to whatever you’re eating. 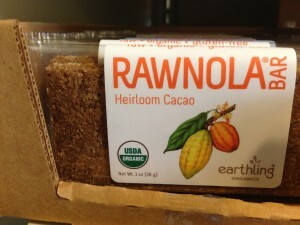 This entry was posted in New Products by Zetty Nemlowill. Bookmark the permalink. Can you order BioBag Quart resealable bags for me? 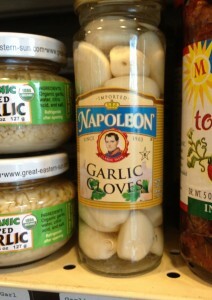 Or would it have to be something in volume you carry in the store? I’d love to see you carry them. 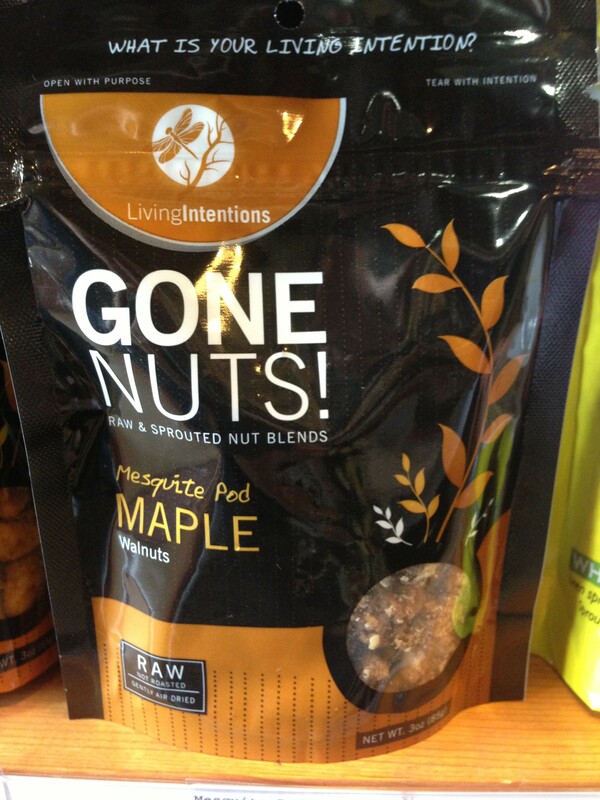 They are compostable. Robin, we might be able to order these. Please fill out a product request card or email store@astoria.coop.